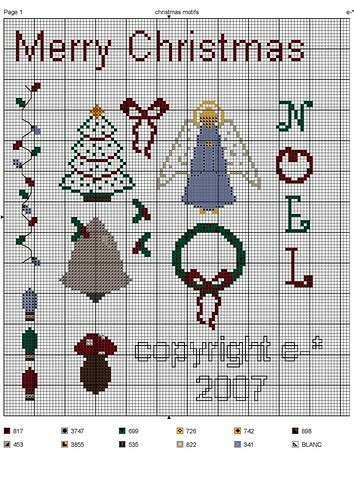 I designed these little Christmas cross stitch motifs a few years ago now but I have used them every year since. They are small and simple and quick to stitch up. I used them for tree ornaments (tutorial coming soon), cards, gifts, and gift tags. I know I know. It is only October but seriously, if you are as slow a stitcher as I am then you will need to get started like yesterday! You can find the big print stitchable version on flickr: Click here! Click! Click it NOW NOW NOW!